Tessa is a member of the Society of Trusts and Estate Practitioners (STEP). Her main interest is in acting for Vunerable Clients, advising on Lasting Powers of Attorney’s, Court of Protection issues and Care Fee Planning. 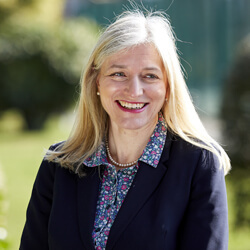 She also has an extensive practice in Wills, Inheritance Tax plans and the Administration of Estates. Tessa regularly provides talks on relevant subjects to groups such as WI’s, Probus and Retired Groups. Tessa provides a friendly, approachable and professional service to her clients and can be flexible as to appointment times and meeting location.